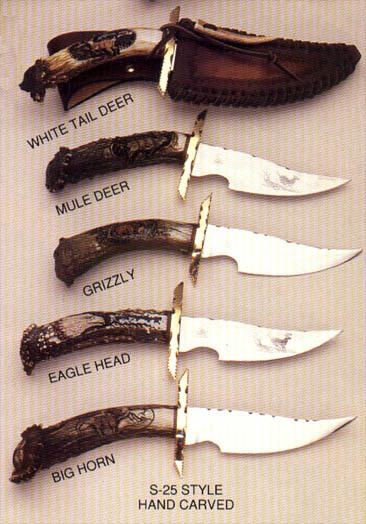 The Eagle Head knife captures the spirit of the hunt with the exquisitely crafted eagle head carved into the handle. Swift and stealthy, the eagle is a perfect match for this knife. With this knife by your side you can tackle any obstacle in your path. Pricing includes hand laced leather sheath.